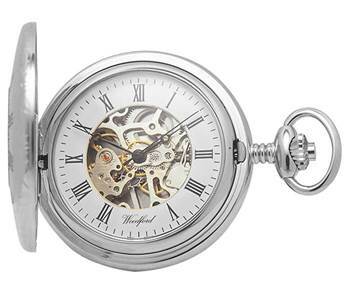 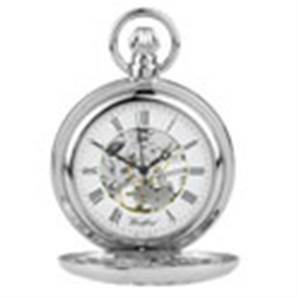 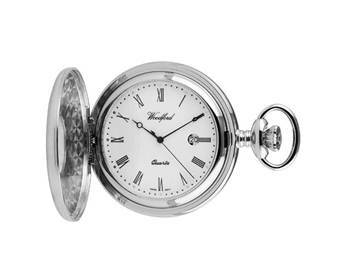 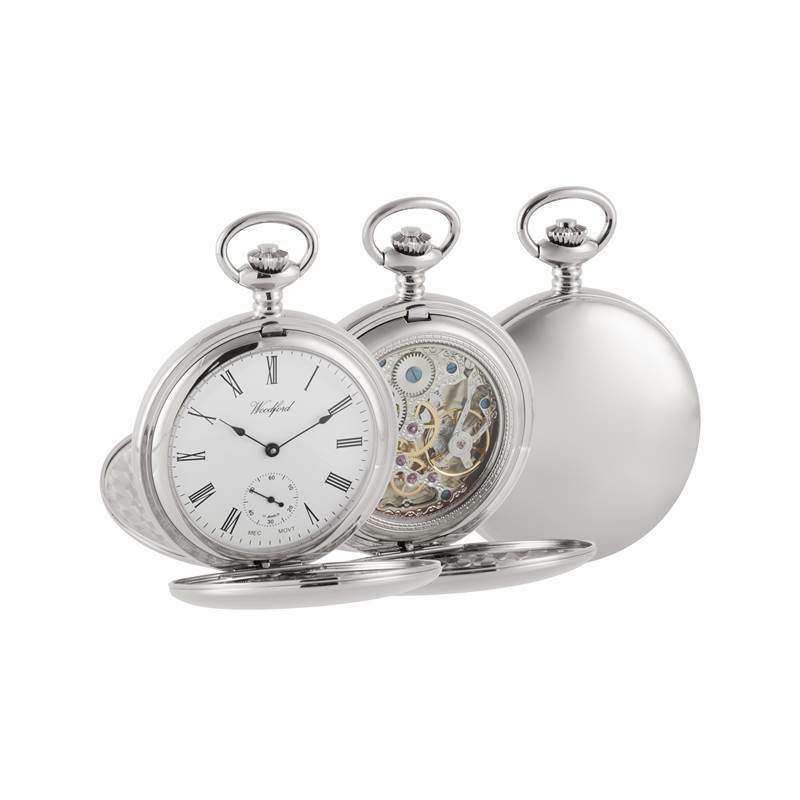 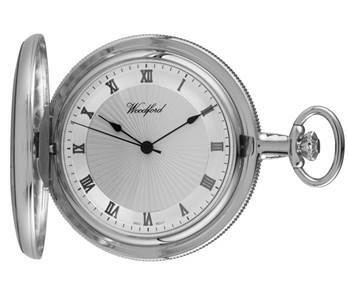 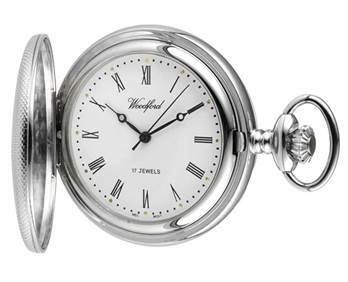 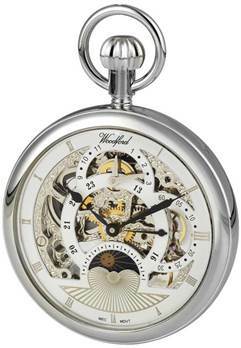 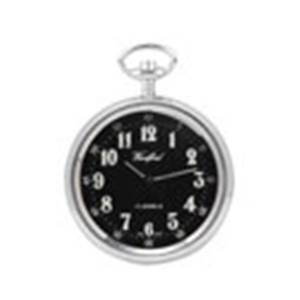 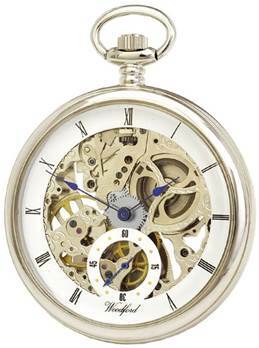 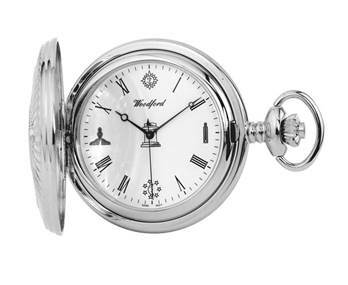 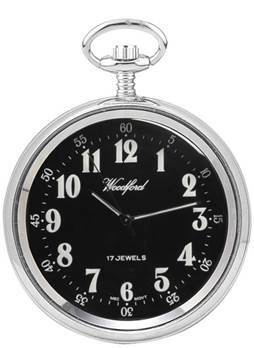 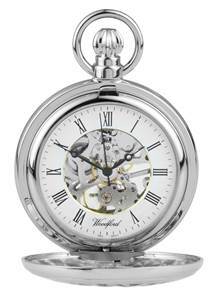 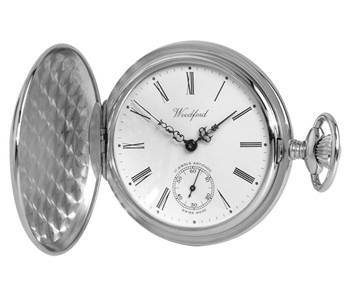 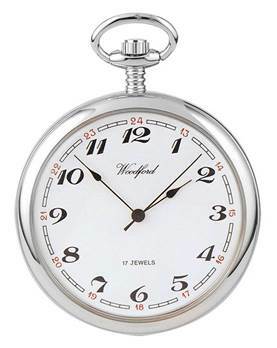 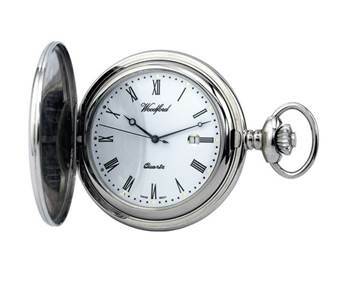 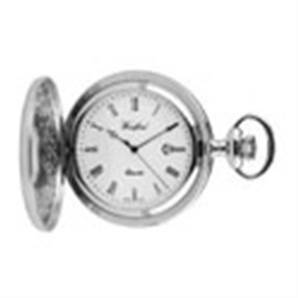 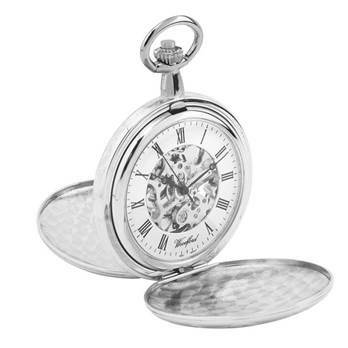 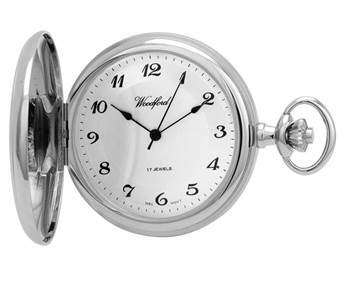 A range of Chrome Plated Pocket Watches by Woodford including open faced, half hunter and full hunter bodies, quartz, mechanical and skeleton mechanical movements. 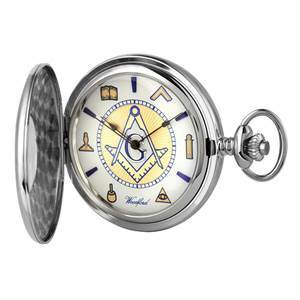 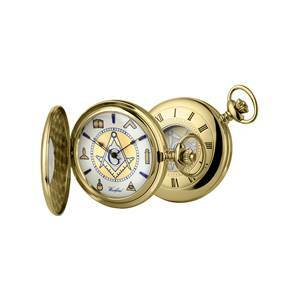 There are sweep and dial second hands and Arabic and Roman lettered faces. 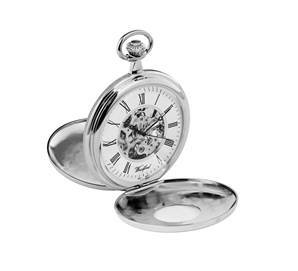 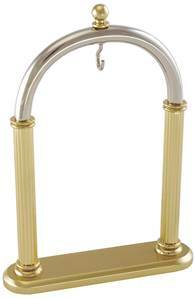 All come in a gift box with a chrome plated chain.